Some say it rigs the markets in favor of the big guys. Others say it makes the stock markets operate more efficiently. 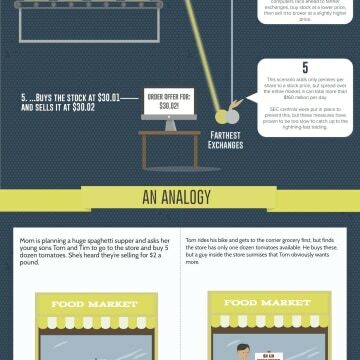 But how does high frequency trading really work? Sources: Flash Boys: A Wall Street Revolt, by Michael Lewis; The New York Times; Atlantic Monthly; CNBC; Mother Jones; Forbes; NYSE. Next Story Infographic: Are Female CEOs More Likely to Be Dismissed?